I’m in Piemonte now, spending a month wrapping up final interviews and research for my book project on the wine women of the Langhe and Roero. It’s mid-May, a time when the weather can be unpredictable, but is generally kind to visitors and vintners. Although snowstorms still plague my home in the Colorado Rockies, here the sun is shining. At my agriturismo in the countryside, I am suspended between Heaven and earth, azure blue skies and rolling green hills. 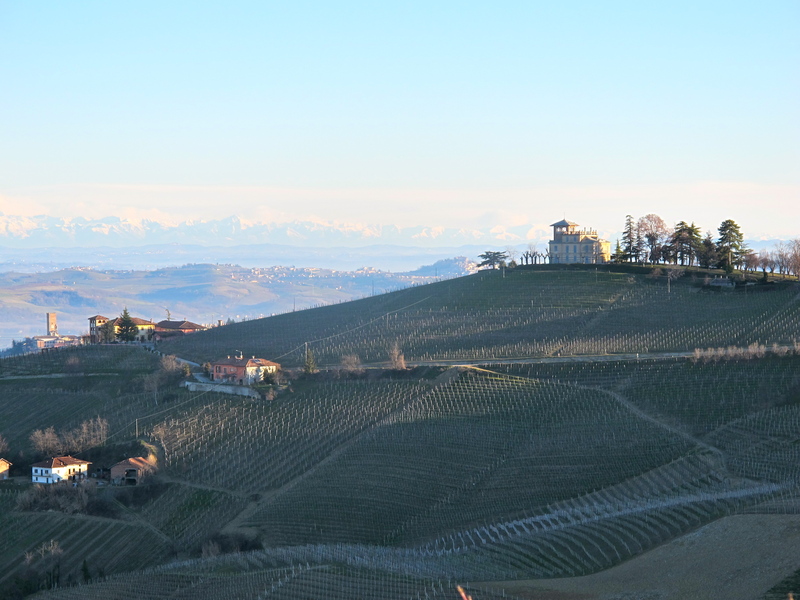 Panoramic view of the Barolo appellation and the Cottian Alps and Alpes Maritime in the background as seen from Diano d’Alba. Unfortunately, my experiences haven’t always been like today. The shyness of the sun in those early trips nearly foiled later adventures to the region. How I came to love this land and find a connection so deep that I am consumed with writing about it is something that did not come easy. Since so many of my storytelling-moments involve Piemonte, people often people ask why I’m drawn to the province, particularly the Langhe and Roero, the two most prominent wine districts (my apologies to Montferrato and northern Piemonte wineries). It’s a fair question and actually quite easy to answer. This region in the northwestern corner of Italy is an endearing amalgamation of people, culture and natural beauty that literally bewitched me. 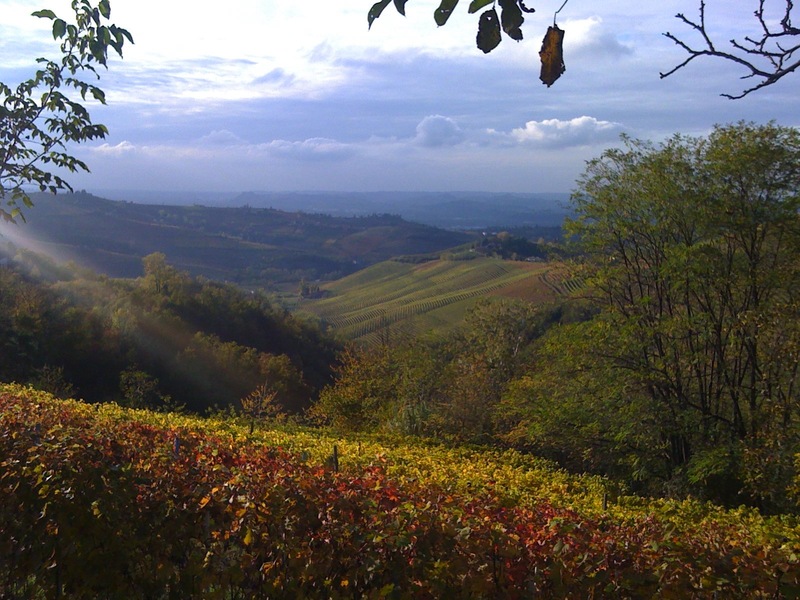 Spell-binding autumn colors of Piemonte’s vineyards can still be seen and enjoyed on cloudy, autumn days. A year passed before I experienced a sunny day in Piemonte and saw for myself what I had only seen in photographs – vine-covered rolling landscapes peppered with medieval hilltop towns against a backdrop of snow-covered alps far away on the western and northern horizons. 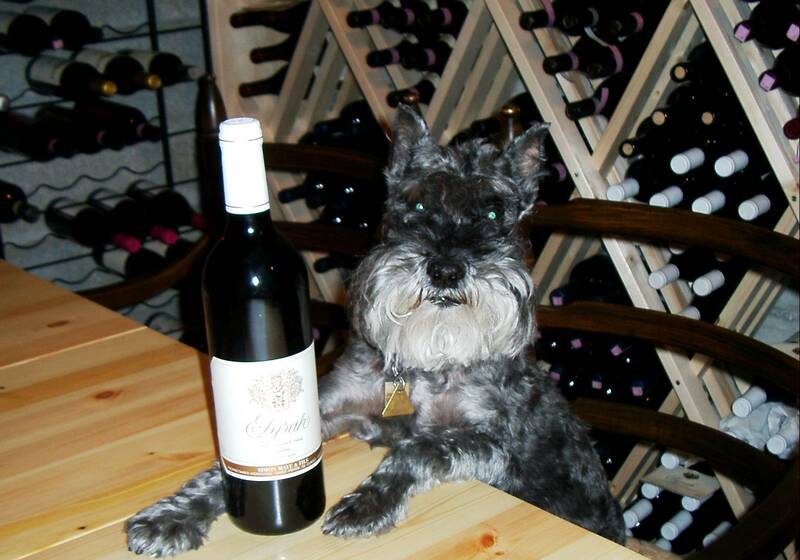 In early November 1999, I set out on my first Piemontese adventure with my mom and my mini-Schnauzer, Otis. Otis the Wine Dog was welcome everywhere we went in Europe. My mom was visiting and my husband Dani was in China overseeing a shipbuilding project at Jiangnan Shipyards in Shanghai, so this was a great opportunity to take mom on a reconnaissance mission to learn about this under-discovered region. 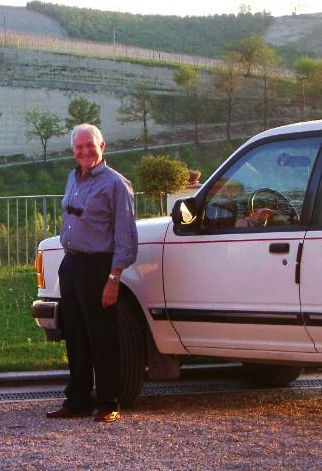 We lived in neighboring Switzerland, so I loaded up mom who was visiting from south Louisiana, and Otis who enjoyed the benefits of Europe’s enlightened pet access rules into our white Ford Explorer for the nearly 5 hour drive south from Zurich. 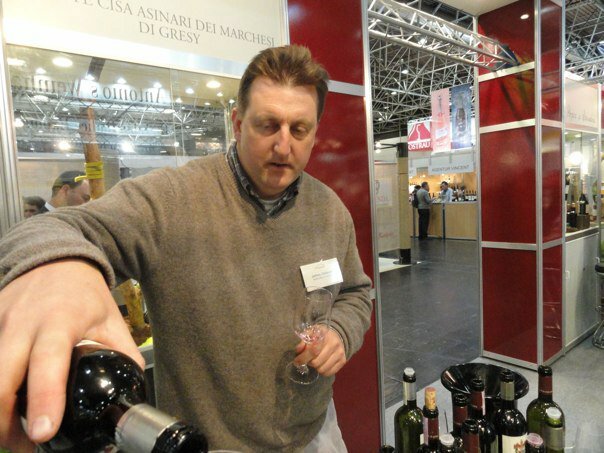 Dani with the Wine Panzer at Marchesi di Gresy in Barbaresco appellation. Anyone who knows Piemonte knows Mother Nature usually unleashes her foul mood on the region in November after (hopefully) holding rains in abeyance through the autumn harvest. At a minimum, there’s always fog. But there is also rain. We had rain. Lots of it. Walking a dog in the pouring rain through sticky mud was not the experience I sought. Frankly, I was miserable. In those days before bloggers and writers began spreading the gospel of Piemonte, there were few travel resources in any language much less English. A few of my colleagues at Swiss Re gave me tips, but for the most part, I didn’t know where to go or what to eat. I was just told it was hard to make a bad choice. My mom was along for the ride. Normally someone who wanted to be in full control, she happily ceded control to me. You might say it was a classic case of the blind leading the blind. I discovered agriturismo Villa Meridiana on the outskirts of Alba. Perched on a west-facing slope high above the town with a view, I was told, of the Roero to the north and the Langhe to the west, it was one of the few agriturismi in existence at the time. As I had discovered when I booked, it was full. No one had told me early November was still high season when gastronomes across Europe descended on Alba to dine on and purchase tartufi bianchi d’Alba. 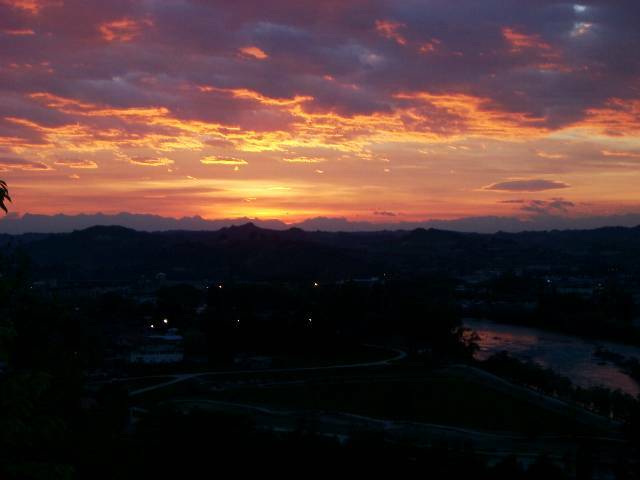 Sunset over Alba from Villa Meridiana on a later trip to the region. Fortunately, the owners had two vacant apartments in Neviglie, a hilltop hamlet in the Barbaresco appellation about 10 minutes to the east. We were delighted, but the terrifying drive on narrow, winding roads in pouring rain in what we would in later years dub the “wine panzer,” proved to be an unexpected stressor. Wine was needed. We spent four rainy days and nights there, only once venturing outside at night. 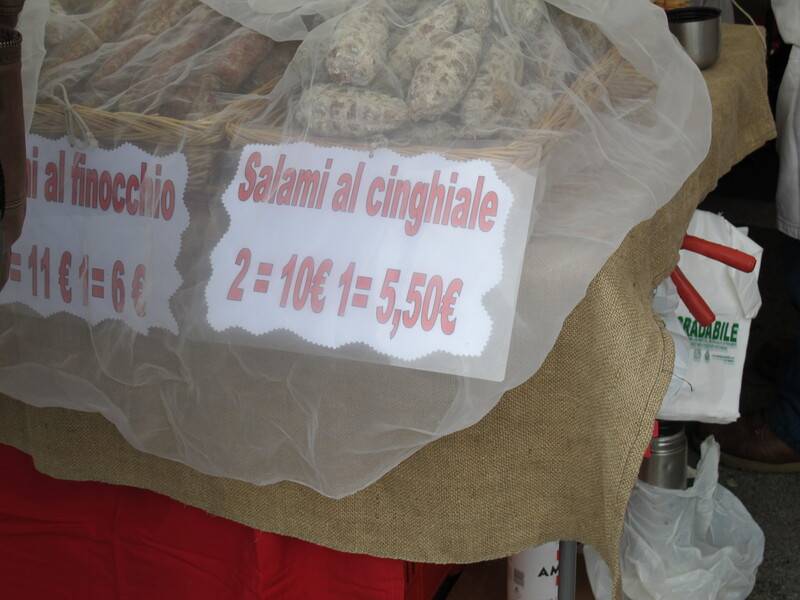 Although we didn’t discover very much beyond the apartment’s door, each day we had a delightful time buying grissini, bread, salumi, cheese and, of course, wine from the mercato d’Alba and small salumerie, panetterie, alimentari and enoteche. A wide selection of delicious Piemontese specialities are always available at Alba Market on Thursday’s and Saturday’s, year round. The experience connected me to the region and I knew I would return if for no other reason than to see the sun shining on the vineyards. During the first February of the new millennium, I made my second trip to Piemonte, this time with Dani and my ever-present companion, Otis. Still not the best seasonal choice, but at least the persistent clouds didn’t rain on us. 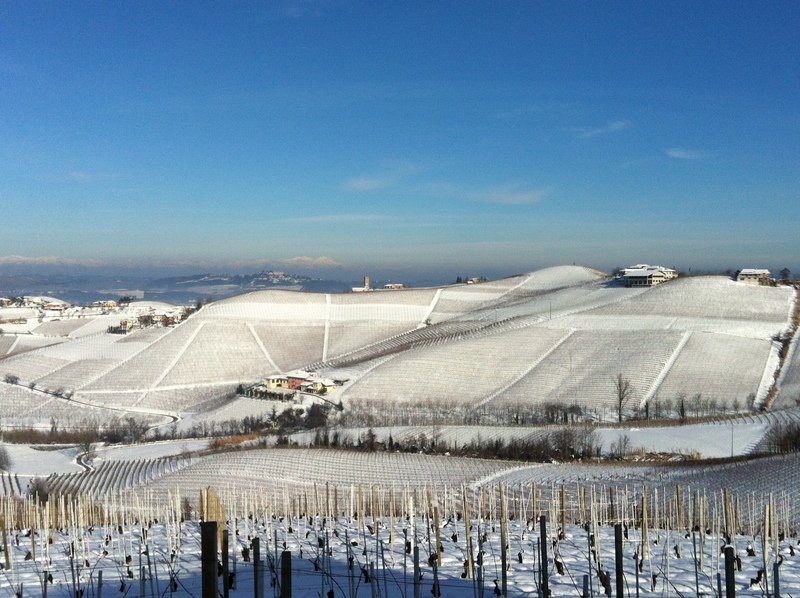 Although we didn’t see the vistas the Langhe was known for, the abundance of medieval villages, seemingly ghost towns in the mid-winter cold, held gastronomic secrets we soon discovered – excellent, family-owned restaurants. Fog in autumn and winter can create beautiful scenery when settled into vineyard lined valleys. We couldn’t have asked for a more appropriate introduction to classic Piemontese cucina. It was as it should be: simple, fresh and made with love. Needless to say, the concept of eating food grown within a few miles of the restaurants was a fabulous discovery. 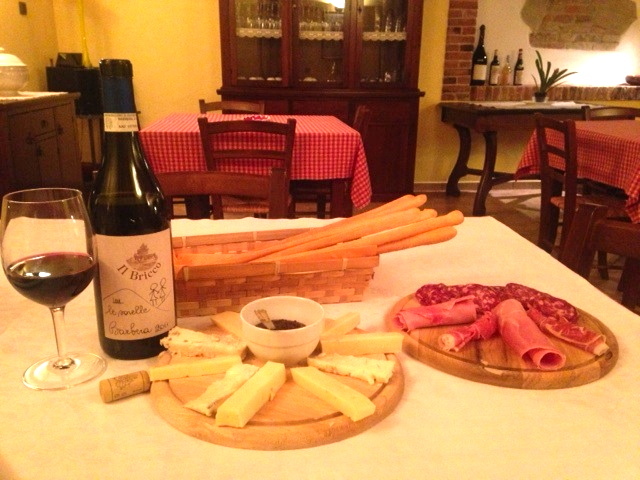 The basics in all traditional Piemontese restaurants: fresh grissini and local cheese, salumi and, of course, wine. The warmth of the food and those who prepared and served it made us long for more. 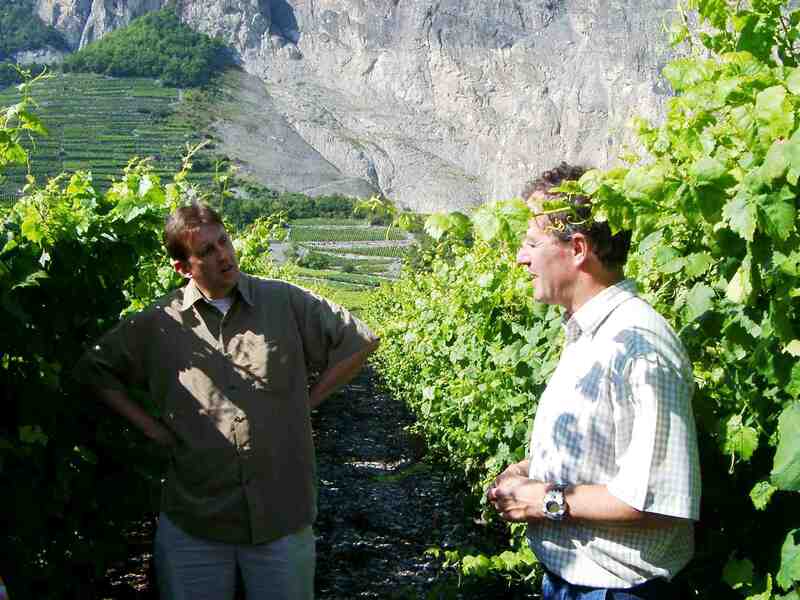 We still hadn’t seen the landscape nor had we truly experienced the wine culture. That would soon change in a – positive – seismic way. It wasn’t until later that year, again in November, when I saw the bright sunshine and what the clouds and fog had hidden from me. The trip began as expected: foggy days and even foggier nights. On the third day, an early season snowstorm blanketed the near naked vineyards with snow so that when the clouds surrendered to the sun, we discovered the landscape in all its splendor. Early winter snow blanketing the vineyards of Martinenga. (Photo courtesy of Marchesi di Gresy). Snow-covered vineyards, azure blue sky – we call it “bluebird skies” in Colorado – and soaring mountains on the horizon made the wait worthwhile. Perhaps it was Mother Nature’s way of making visitors to the region worthy of witnessing the splendor she could unveil. On that trip, we not only discovered what fog and clouds had hidden from us, but it was the beginning of our adventures in wine. After the brief period of sun, the snow melted and the fog returned. 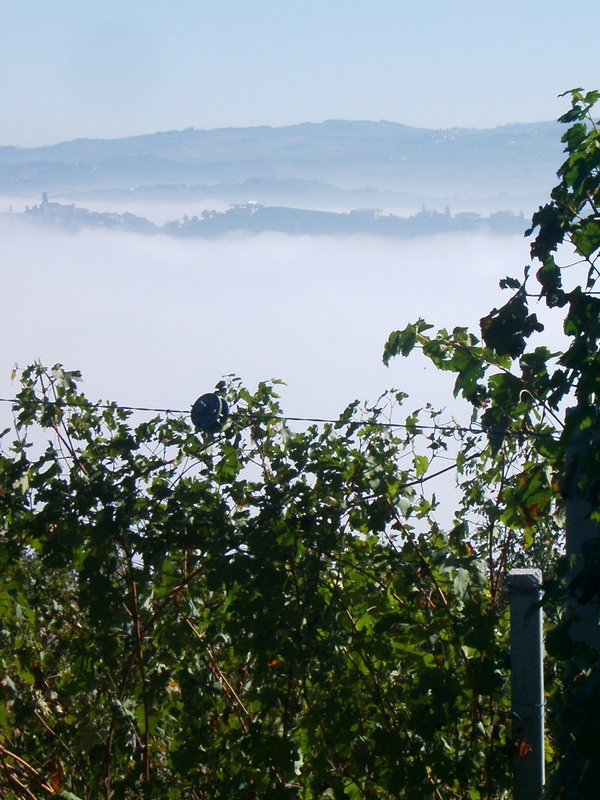 Piemonte was once again shrouded in her foggy winter mantle. 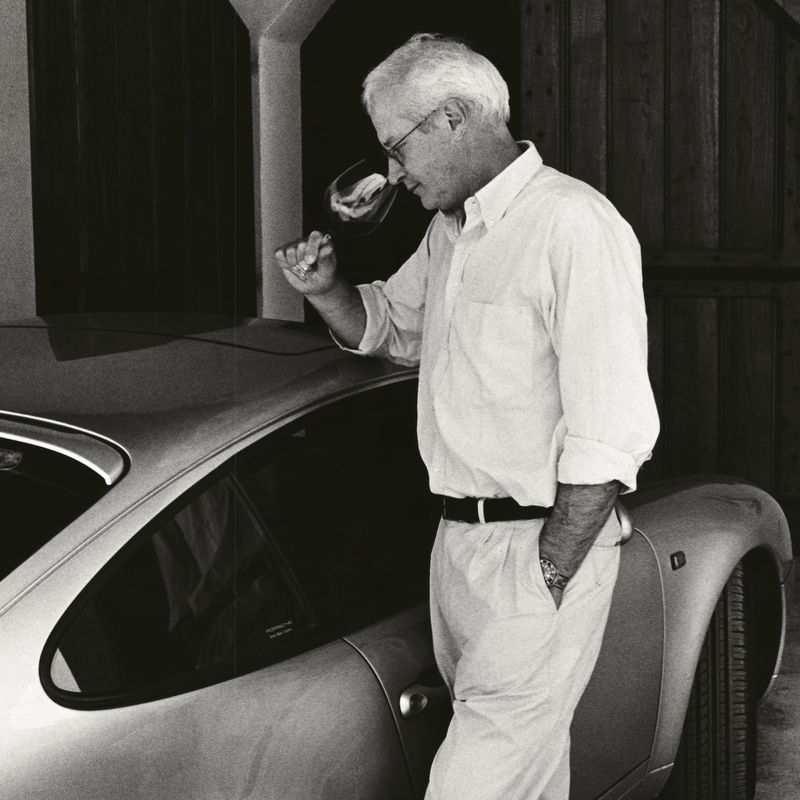 Nevertheless, despite the fog and daunting directions, we discovered the Kiwi wine wizard, Jeffrey Chilcott, maître de chais of the vaunted Barbaresco winery, Tenuta Cisa Asinari dei Marchesi di Grésy. Nestled on the slopes of the Martinenga ampitheatre, it’s not an easy place to find, particularly when the pea-soup thick fog obscures signs. But we persevered and our lives changed forever. We quickly discovered it wasn’t just sun that had been missing, but an anglophone wine sage to guide us through the exciting world of Nebbiolo, Barbera, Dolcetto, Arneis and all the other varietals that make their home in Piemonte. 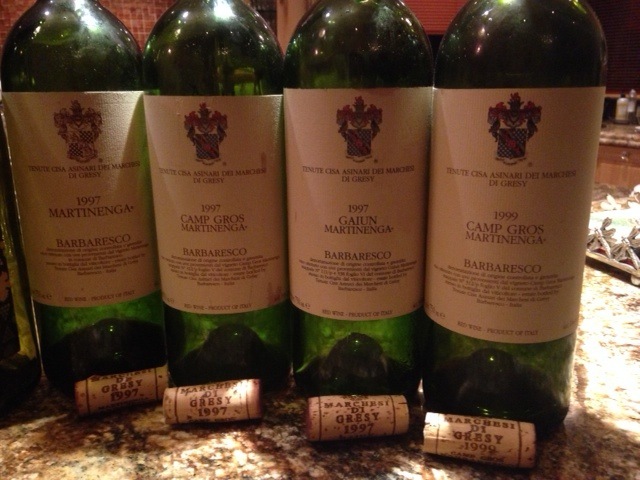 Fast-forward 15 years and over 20 trips to this morning in the Langhe. Once again, I’m rewarded with deep blue skies above, but now it’s lush green below my feet that dominates the colors of the landscape. Nascent grapes are profiting from warm, sunny days and vines are growing fast to produce leaves that will capture the nurturing sun’s rays. Early season Dolcetto grapes in vineyards of Cantina Gigi Rosso in Diano d’Alba. 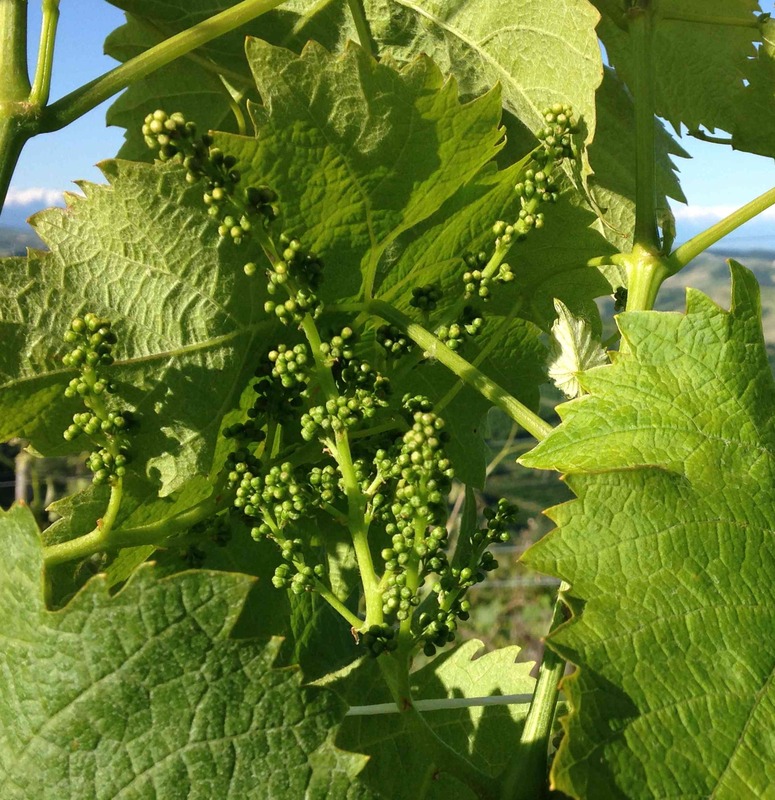 Another vintage is dawning in the heart of Piemonte. 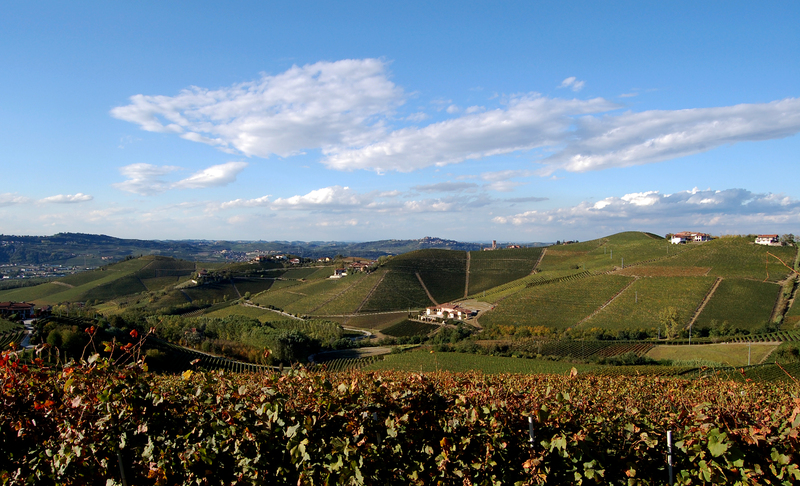 I’m here to witness it and share with you stories of Piemonte’s wine families and their region. Come back in the days ahead as I share stories and guide visitors to some of the under-discovered places that enchant us. Needless to say, I will introduce you to many people who have become dear friends, including Jeffrey, the tall Kiwi of Martinenga.